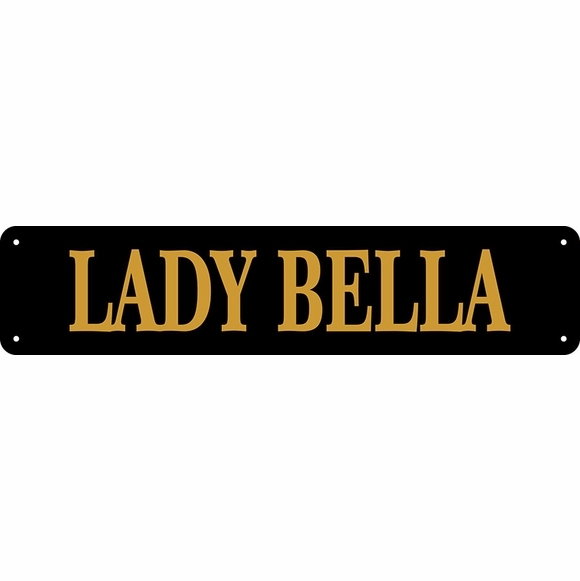 Our large 18" x 4" horse name stall plate is custom made for you in the USA. A great way to display horse names in your stable. Your horses name, or any other wording you choose, is permanently engraved into the plaque. It's not painted, printed, or silk screened on. Manufactured of laminated non-rusting high-quality acrylic plastic. 1/8" thick. Color black with gold characters. Plaque holds up to ten 2.5" characters or up to eight 3" characters. Supplied with four 3/16" mounting holes and stainless screws. Comfort House Name Plate # J0120.